Take notes. It’s six for six. There are six candidates running for Orange County Commission District 6 seat, being vacated next year by Tiffany Moore Russell (who’s running for Clerk of Courts). In light of the crowded playing field, voters will have to pay close attention to who’s running and the platform for which those candidates stand. The candidates are: Homer L. Hartage, Joshua Nathan Paladino, Victoria Siplin, Derrick Donnell Wallace, Roberta F. Walton and Virginia Lewis Whittington. (As of Dec. 19, 2013) The district includes parts of Pine Hills, as well as the Mercy Drive, International Drive and Oakridge areas. Orlando Community News recently started publishing articles on candidates who are running in some of the hotly contested offices in the county and within the City of Orlando. The goal of the “Candidates Roundup” articles is to acquaint or re-acquaint registered voters with candidates, now, well before the 2014 elections. We received completed requested questionnaires from Paladino, Wallace and Whittington. Keep reading and please share. Why are you running for this public office? Paladino: I’m running for office so that I can ensure accountability and transparency of District Six candidates during the election cycle. Many political campaigns run smear campaigns instead of focusing on the needs and concerns of the constituents in the districts they’re running in, and fall through on the promises they make to those constituents that elected them in favor of large campaign contributors. I would like to address those less than popular issues our district faces such as Environmental, Food Safety, Recycling, Tax Reform and Public Service. Wallace: I am running because the district cannot afford the alternative. District 6 has been without any real leadership since Commissioner Mable Butler. In analyzing the potential candidates who have expressed an interest in being the next District 6 County Commissioner, I realized that the district cannot survive ineffective former politicians and individuals that have been bought by the establishment. My goal is to better the community for the residents of District 6. I am passionate about fighting for more economic development. I am dedicated to fighting for issues affecting the district and the county in which we live. Whittington: I am running for public office because District 6 deserves better. I believe major strides can be made in addressing our concerns by bringing focused attention to these three areas: Enhanced Transportation Options, Sustainable Neighborhoods, and Small Business-Economic Development. What background do you have to be considered for the office? Paladino: My qualifications for office include my community activist work, from Occupy Wall Street and organizing for better living conditions in Washington Shores, to stopping the gentrification of the Parramore community. 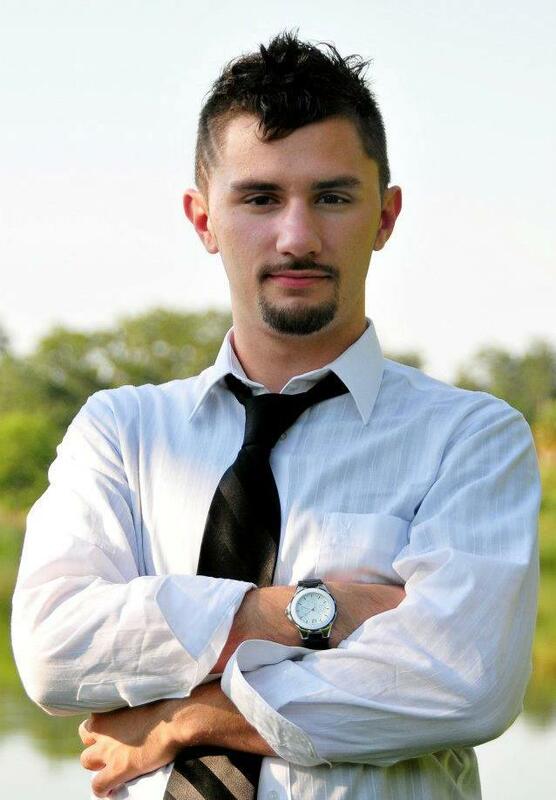 I own my own business and have been in management positions in restaurants since I was sixteen. Wallace: For over 30 years, I have been the owner of Construct Two Group, which is in the heart of District 6. I have been committed to growing a business as well as being actively involved in numerous community organizations. In addition, I have provided local employment, opportunities for small businesses and supported many community initiatives, which has contributed to the economic development in the Central Florida area. All of this emphasizes my goal of improving the quality of life for the people of Central Florida. I have continued with a community-minded philosophy by involving myself in many noteworthy organizations. I am currently active with 100 Black Men of Orlando, Inc., an organization established to improve the quality of life in the African American community through educational and economic opportunities. Whittington: I am responsible for overseeing board services, regional partnerships, and all aspects of community outreach and public involvement. I am the staff liaison to several Advisory Committees including the MetroPlan Orlando Municipal Advisory Committee, the Central Florida Regional Transportation Funding Task Force, the Central Florida MPO Alliance, and the Florida Urban Transportation Coalition. Before joining the MetroPlan Orlando staff, I worked for Orange County Government in the Office of Management and Budget. What political experience, service on community boards, etc. do you have? Paladino: I understand the political process, I understand the role of the position in which I am running for and understand the need of a non-corrupt politician who puts the needs of the community before themselves. Wallace: In 2003, I served as Chairman of the Metro Orlando Economic Development Commission’s Education Foundation. In 2002, I served as a Commissioner for the Orange County Transportation Commission and as Commissioner for the Governor’s Commission on Workers’ Compensation Reform. In 2001, I was appointed to serve an annual term as the first minority Chairman of the Metro Orlando Economic Development Commission (EDC), a private-public commission that works to attract businesses to the area and helps existing businesses expand. Chairman, Board of Director, Goodwill Industries of Central Florida- one of the world’s largest nonprofit providers of employment and training services for people with disabilities and other disadvantaging conditions such as welfare, dependency, illiteracy, criminal history and homelessness. Board of Director, Central Florida Innovation Corporation – an organization, whose goal is to enhance the region’s economy by creating, building and strengthening high wage potential, high growth companies in Central Florida. Whittington: My community and political service include the Workforce Central Florida Youth Advisory Committee, the Central Florida Urban League Community Strengthening Initiative Advisory Committee, the Orange County League of Women Voters Transportation Committee, the Urban Land Institute – Central Florida Chapter Programs Committee and facilitator for the Jobs Partnership of Central Florida. I am a former member of the Orange County Citizen’s Review Panel and Orange County Planning & Zoning Commission, District 6 Commissioner. I am a member of the Central Florida Chapter of Women’s Transportation Seminar (WTS), Orange County League of Women Voters, Urban Land Institute, Central Florida Urban League Tiger Bay Club of Central Florida, and the NAACP. 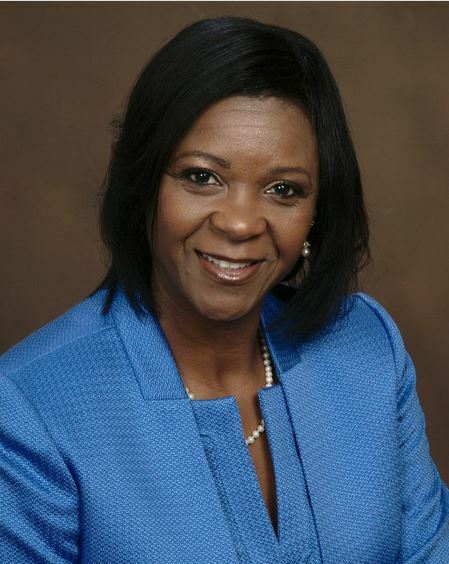 Virginia is also an alumni member of Leadership Orlando Class 45, Class Chair of Leadership Orlando Class 79, and a graduate of the 2012 Business Force, Political Leadership Institute. What are the three most important issues facing the district? Paladino: 1. Green Energy Initiatives- If the county is environmentally friendly, there is more money that can be reallocated to programs that directly affect the lives of District 6 constituents. 2. Affordable Housing and Home Ownership Programs- Housing that is affordable should also be dignified and dignified affordable housing is becoming limited year after year and home ownership rates continue to slip in historically black communities. 3. Community Advancement- Jobs are not careers (we need careers), we need better educations, we need better access to locally owned and produced products, produce and food stuffs. We need better access to Access Florida. We need affordable daycare for single parent families and we need crime reduction programs that start at home vs waiting for it to become a police matter. Whittington: Orange County Commission District 6 deserves better. The three most important issues are 1. Enhancing transportation options 2. Creating sustainable neighborhoods and 3. Increasing Small business and economic development. How would you address those issues? Paladino: Unfortunately these issues are far too long to address in a questionnaire but by visiting my website www.JoshuaPaladino.com you will find many of my current strategies to accomplish our missions. Wallace: Encourage and support the creation of trade type jobs programs used in the construction industry. Partner with trade unions to provide quasi-apprentice type relationships with mentors. Partner with electrical, painting, plumbing and carpentry contractors to provide training classes/opportunities to teach skills required to become semi-skilled trade helpers. Economic Development: Target and aggressively pursue more high tech, video game development and simulation companies. Target and aggressively pursue major (biotech, pharmaceutical, medical device) companies to relocate their corporate headquarters to Orlando. Encourage small business growth. Whittington: My focus for the district is to enhance transportation options by increasing transit routes and identifying a dedicated transportation funding source. Creating sustainable neighborhoods that will attract more residents and businesses by making them economically vibrant, socially equitable, environmentally healthy and safe. An increase in small business ownership and development by diversifying our portfolio and alleviating the constraints to businesses wanting to grow an thrive in the district. 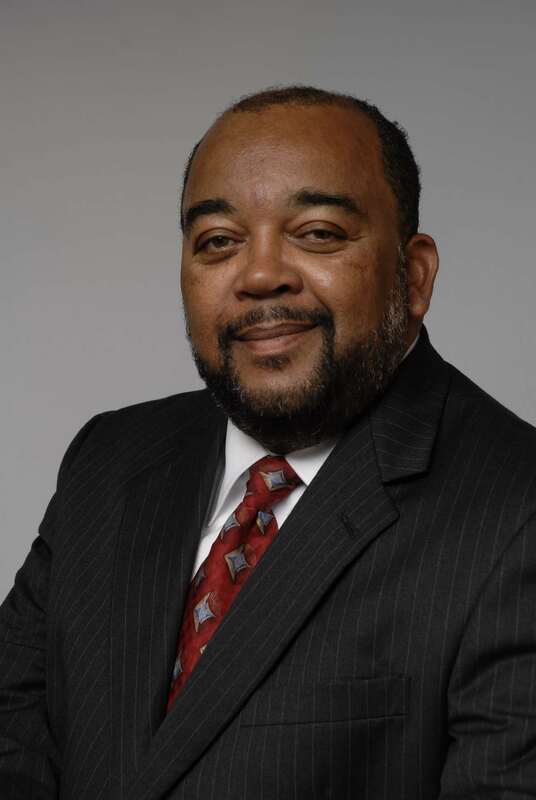 Wallace: Native of Orlando, has Lived in District 6 all my life (currently lives in north Lake Mann), attended Holden Street and Eccleston Elementary Schools, graduated From Jones High School, graduated from Florida A & M University – Bachelor’s of Science, Accounting 1975. Currently: Certified General Contractor. Whittington: Married with three children and seven grandchildren. I currently work as the Director of Regional Partnerships for MetroPlan Orlando, the regional transportation planning agency for Orange, Seminole and Osceola Counties. I am an ordained Elder at The Hope Church and the founder and volunteer director of A.W.’S.O.M.E. Ministries International (a faith-based, community outreach organization). A proud graduate of Jones High School, received both, Bachelor’s and Master’s degrees, from the University of Central Florida, School of Public Administration. This entry was posted in Community news that can help, Election Connection, Faith and Family and tagged 2014 Elections, Candidates Roundup, Derrick Wallace, Joshua Paladino, Orange County Commission District 6, Orange County Commissioner Tiffany Moore, Orlando Community News, Virginia Whittington. Bookmark the permalink.